Springfield Community Credit Union is your typical small credit union. Established in 1982, Springfield has grown a great deal over the past 37 years, expanding into a total of 5 branches. Though originally founded for the employees of a state university, Springfield has now grown a much larger, more diverse membership base. This is the story of how Springfield Community Credit Union was able to enhance their quality of customer service while controlling operating expenses through streamlined credit union employee scheduling. Despite the fact that an increasing number of users are completing their banking transactions online without any human assistance, it is still vital for small not-for-profit financial service providers to provide the type of customer service that can only be experienced at a small, locally-based organization. Because credit unions are not-for-profit, they must control their cost of labor to provide low rates and minimal fees to members. In light of these rising expenses for marketing, technology, and qualified team members, Springfield knew they had to improve labor force efficiency to stay competitive. Throughout the life of the business, the only change Springfield managers had made to their internal employee scheduling process was moving it from paper to Excel spreadsheets fifteen years ago. At that time, there were only two branches and scheduling was far less complicated. Now, with management overseeing all five branches, workforce scheduling issues consume a much larger chunk of administrative time. Staff each branch adequately for all shifts. Limit overtime for full-time employees. Make sure part-timers stay within authorized hours. Provide employees with their requested schedules as often as possible. Improve communication between departments and branches. Keep track of which staff members are cross-trained for multiple positions. Minimize the need for hiring additional staff by strategically scheduling employees who can work at multiple branches. Maintain compliance with federal, state, and local labor laws. SDP Time fulfilled every item on Springfield’s wish list and also delivered some benefits they hadn’t even expected. Our workforce management technology provides managers with smart tools for simple, hassle-free scheduling. Additionally, it allows employees to take over many tasks their supervisors previously had to complete on their behalf. 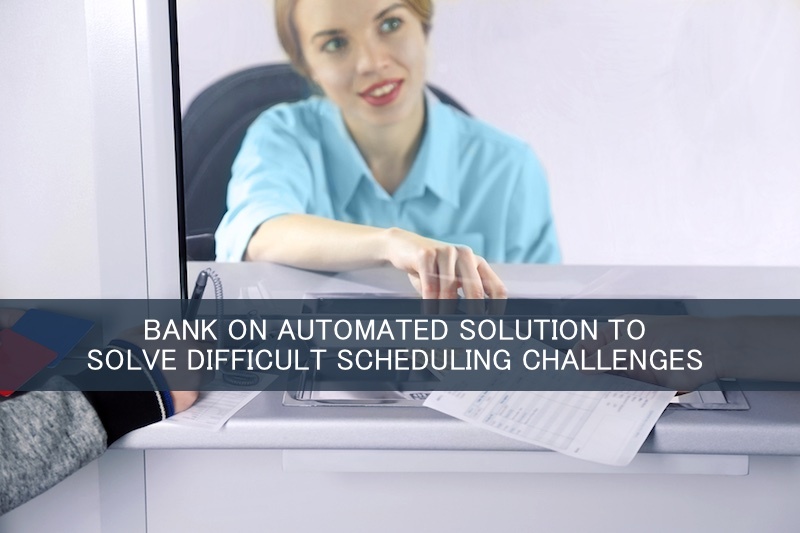 With SDP Time and our Advanced Scheduling system, branch managers create standard schedule templates. Once the standard schedule is in place, they can drag and drop to adapt to changing conditions. And it’s super easy to see at a glance which employees are cross-trained with the use of employee job codes! Next, Springfield has been able to accommodate their employees’ requested schedules with our Virtual Trade Board. Previously, managers had to circulate shift change requests to the staff, and then re-circulate when options were proposed. Now, staff members simply put requests on the Virtual Trade Board. From here, managers can quickly view, monitor and approve shift request changes online. Once a shift trade is approved, SDP Time automatically alerts the appropriate staff members. In addition to streamlining scheduling, SDP Time also helped Springfield with their compliance concerns. Through customized overtime warnings, managers are now notified when part-time staff members are approaching full-time hours, and full-timers are approaching overtime. They no longer need to continuously monitor time cards to keep team members working within the authorized hours. Further, if they ever undergo a DOL audit, Springfield’s managers can instantly produce any required reports from attendance data that was automatically captured and recorded. Since adding SDP Time, Springfield’s teller and phone customer wait times have decreased significantly. Additionally, the credit union’s admin staff is much more productive, and employee loyalty has improved. SDP Time makes it easier than ever to optimize the performance of your supervisors, employees, and business. We designed SDP Time for busy employers like you. Interested in streamlining scheduling, automating time and attendance tracking, maintaining regulatory compliance, and decreasing labor costs? Then we should talk! Curious how much you could save? Find out with our easy-to-use ROI Calculator. We can get you up and running with SDP Time in minutes. Contact us today to book a demo!